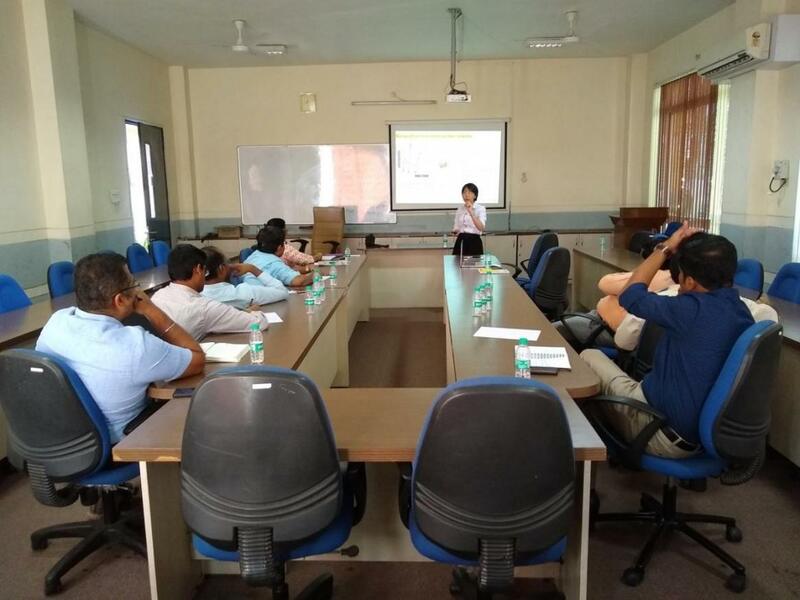 PUNE, India - Nov. 14, 2018 - PRLog -- National Institute of Construction Management and Research (NICMAR) and Lean Station, Pte Ltd., today announced the beginning of a new journey into Digital Lean Planning and Collaboration in the Indian construction market to bridge a gap between project planning and site execution. Together NICMAR and Lean Station plan to enable a broad range of possibilities for the industry by offering full time masters courses that include Lean PlanDo based modules in its core curriculum to enable collective project planning and bring about transformation in the industry built on proactive and collaborative leadership culture. The collaboration will spread across all its campuses across the nation including Pune, Hyderabad, Delhi and Goa. "Construction industry has been a laggard in adopting technology and long been treated as a Dirty, Demanding and a Dangerous industry and is starting to lose its shine with today's young engineers. It is very important to bring back the lustre into the construction industry by improving the productivity and profitability of projects in today's market to keep up with the demand of infrastructure housing and industrial developments" said Sharath Waikar, CEO Lean Station. "The benefits of collaborating with NICMAR will include setting up Lean PlanDo capability building framework from the grassroot level in the area of Digital Lean construction to sustain the growing needs of the industry. The era of project management is long gone, it's the beginning of continual project improvement." Infrastructure, building, marine or factory developments in India can now count upon enabling efficient building practises using Lean PlanDo supported by the availability of trained personnel and experts to consult from NICMAR saving precious time and money. NICMAR and Lean Station plan to work together in the areas of Research and Development and further going deeper in the areas of Digital Lean Construction. This will allow industry professionals to synthesize the synergy between Fundamental as well Industry oriented R&D for improved project performance. NICMAR and Lean Station also plan to announce joint certification programs in the area that will benefit the industry professionals in upgrading themselves and preparing towards the transformational directions of the industry. The benefit of such a collaboration is expected to include unprecedented reductions in time and cost and thrive towards sustainable efficiency for the companies who seek a transformation. The National Institute of Construction Management and Research (NICMAR), has been constituted as a non-profit organisation with the express objective of engaging in activities for the promotion of training, research, professionalism and skill formation at all levels of the construction and other allied industries. NICMAR has been a pioneering Institute offering post graduate level training in specialised areas like construction management, project engineering and management, real estate management, infrastructure management, family owned construction business management, contemporary smart city development management and allied areas. Lean Station is a R&D company building tools for continually improving complex processes to suit the changing needs of the industries. We are currently focussing on the construction industry to radically change the way they are planned and to make the teams more agile. We develop methods, digital tools, technical papers, and new metrics and ensure they are simple and useful for the industries and practically beneficial. We are uniquely placed to serve both developers and contractors to help them adopt Lean PlanDo based practices in their construction projects.